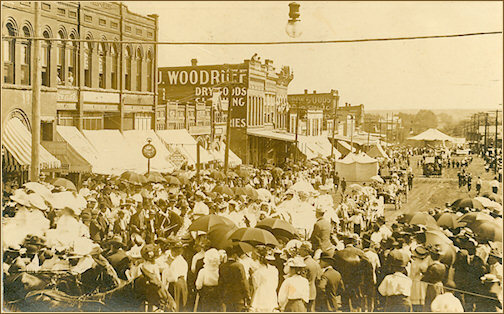 Celebrating the opening of the Cherokee Strip is one of the highlights of the year in Perry, Oklahoma. In this online glimpse we would like to take you back in time to some early day celebrations of the event. Be sure to visit the museum and see our in-house exhibit, "Photography: Images of Our Past." 1909 postcard of the flower parade coming up D Street.